Terminals: The woofers’ input terminals are set screws that will accept up to 14 gauge bare wire. 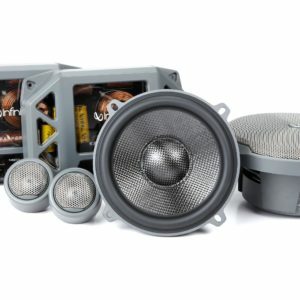 Woofer Size: Without an adapter, the woofers fit standard 6-3/4″ applications. 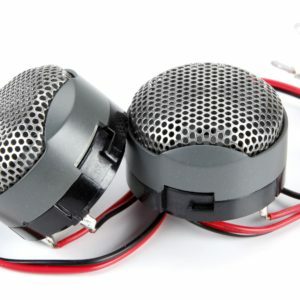 They will also fit in standard 6-1/2″ speaker openings, but do not use the standard 6-1/2″ speaker bolt pattern. In order to install them in standard 6-1/2″ speaker openings you must drill new screw holes. If new holes are drilled in the mounting surface of the car, no bracket is needed. If drilling in the car is not an option, the included brackets can be used, which have standard 6-1/2″ mounting holes, the Ford non-symmetric four hole pattern, and other 6-1/2″ and 6-3/4″ patterns. When using the brackets the depth becomes 2.643″ and the mounting height becomes 0.77″. 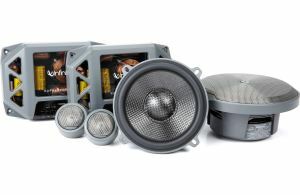 Crossovers: The crossovers can be set to 2-way (the default position, for use with the included woofer and tweeter) or 3-way (for use with the included drivers plus the optional midrange, sold separately). 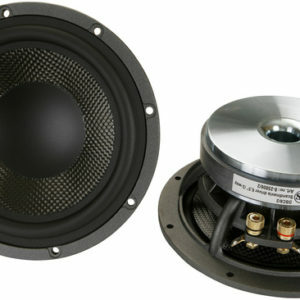 Each crossover also has a tweeter output level switch (choose between high and low output). The inputs and outputs are screw terminals that will accept bare wire or spade connectors up to 0.275″ wide. 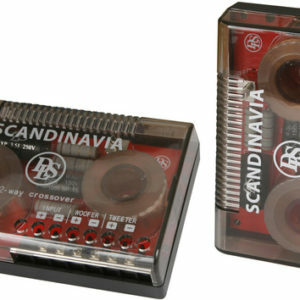 There are four mounting holes in the base of each crossover.